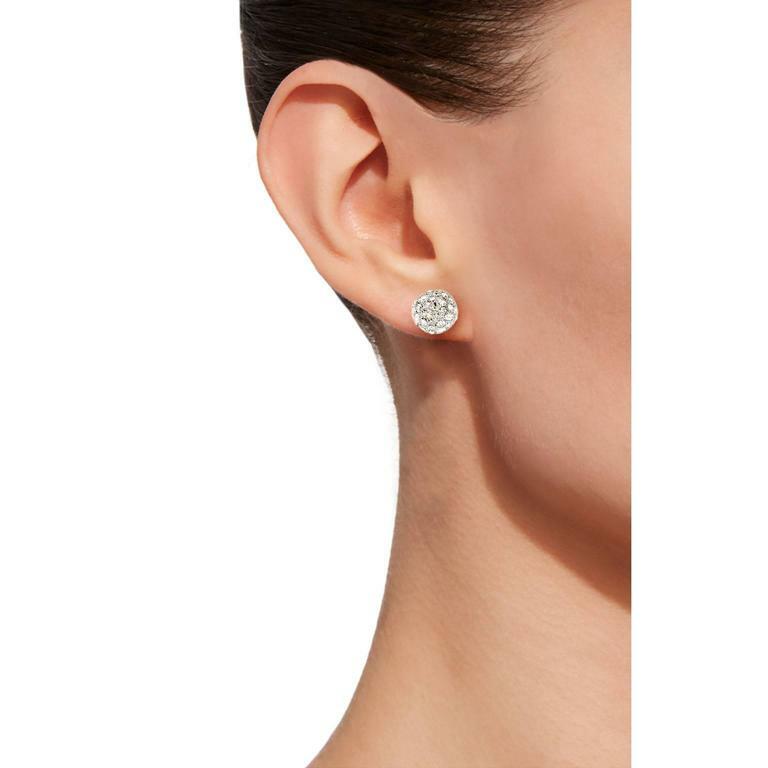 Jona design collection, hand crafted in Italy, 18 karat white gold diamond pavé ear studs set with 1.04 carats of white diamonds, F color, VVS1 clarity. 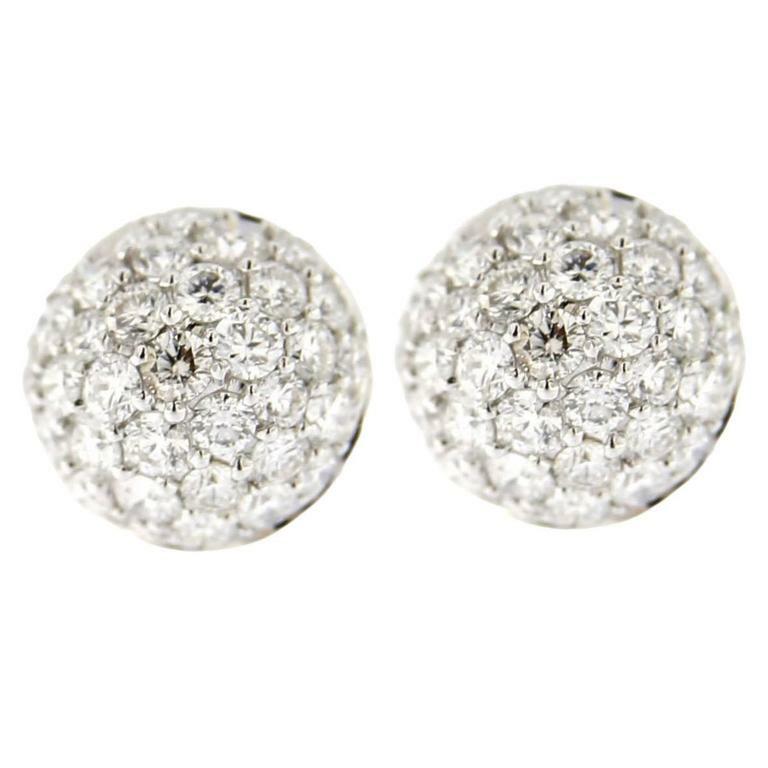 Dimensions: Diameter 0.32 in - 8mm All Jona jewelry is new and has never been previously owned or worn. Each item will arrive at your door beautifully gift wrapped in Jona boxes, put inside an elegant pouch or jewel box. 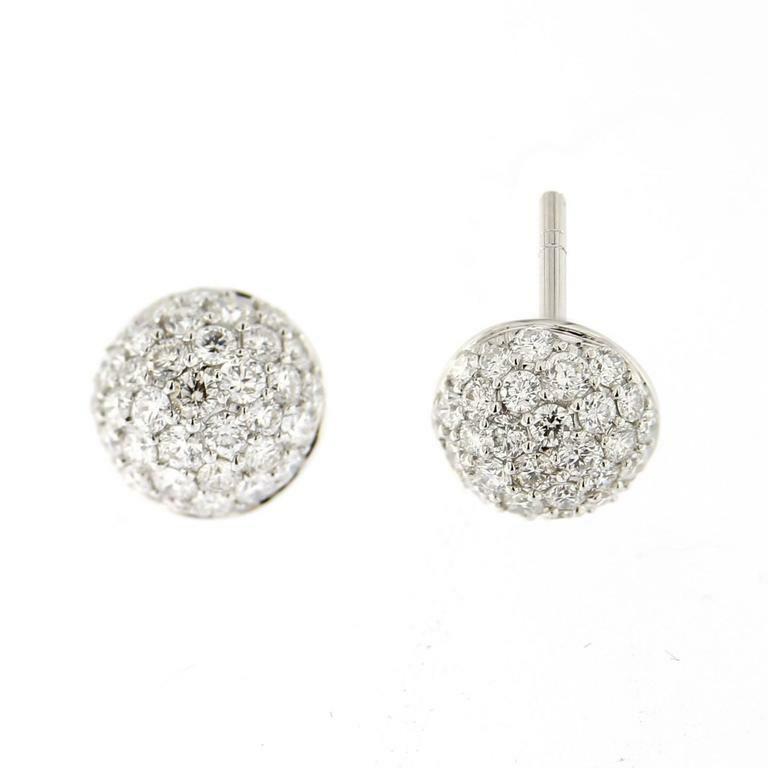 All Jona jewelry is new and has never been previously owned or worn. Each item will arrive at your door beautifully gift wrapped in Jona boxes, put inside an elegant pouch or jewel box. 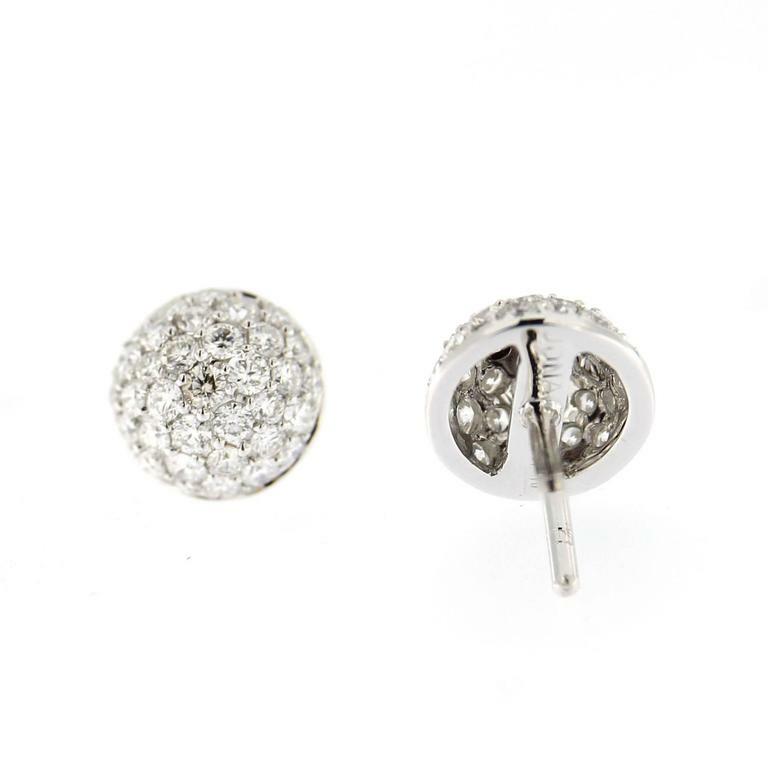 Pretty diamond stud earrings. 18 Karat white gold. 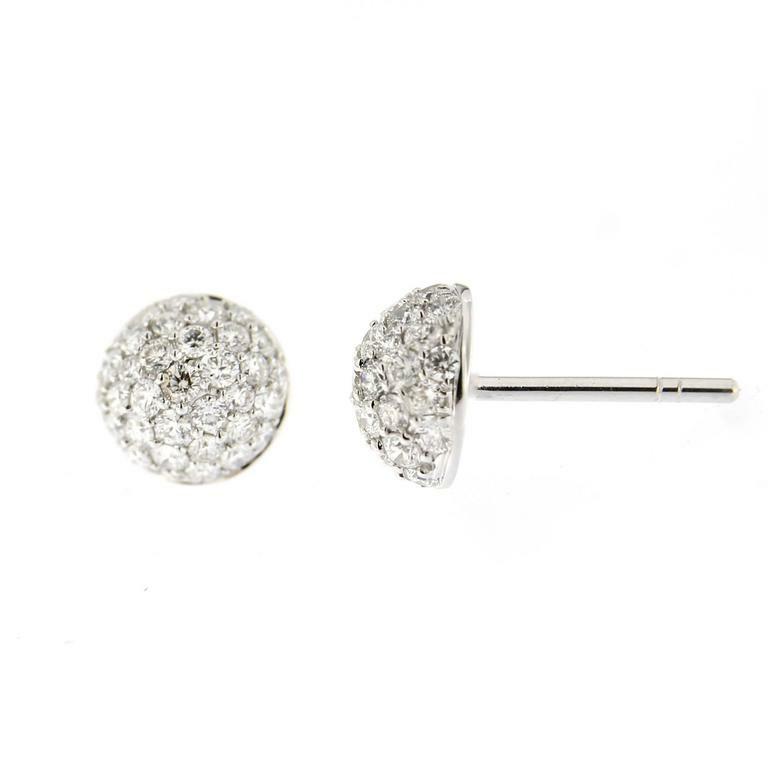 Earring 1: approx. 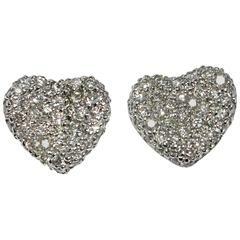 0.73 ct, VVS1, Top Wesselton Earring 2: approx. 0.72 ct, SI2, Top Wesselton Very good new cut.